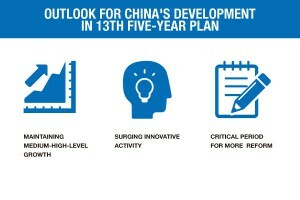 China seeks expat’s suggestions on 13th five year plan. You only have a few days to participate to the consultation and here is what you first need to understand about China’s five years plans and the 2016 guideline draft proposal. For those working in China, Five years plan can impact the business models for foreign companies in China. Therefore, expatriates living in Beijing and working there should take some time to understand what it will mean for their company! Actually, since the 11th China’s five years plan, the accurate Chinese name is not plan but guideline (Chinese: 规划; pinyin: guīhuà). Since 1953, as most centralised, communists countries, the Chinese government has made development plans every five years, focusing on a set of social and economic development initiatives. The guidelines are drafted and implemented by central, provincial, local, and district governments; industry regulators are also involved and often elaborate as well their own FYP, even they are not under the focus of the central government guideline. There is a comprehensive explanation about China’s Five Year Plans, read the article from China Business Review of February 2nd 2015. Chinese economy growth is slowing down, the focus for the 13th FYP will be on boosting economic development and this should lead China to achieve moderate prosperity. 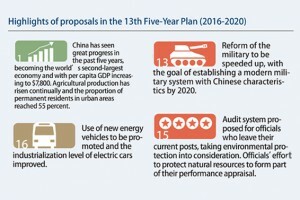 The 13th Five Year Plan will be reviewed and passed during the convention of the annual two sessions – the National People’s Congress and the Chinese People’s Political Consultative Conference, in March 2016. 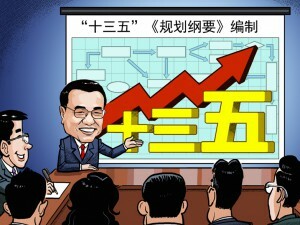 The Chinese administration, led by Premier Li Keqiang, will have to face various challenges for the next years. The guideline will be to pursue development that is innovative, coordinated, green, open and shared by all. If you are living in Beijing, some could impact positively your daily life! Finance: Renminbi convertibility (reserve currency, exchangeable and freely usable currency). Ideology: Ideological and cultural initiatives development online. Defence: Modernisation of the Chinese military system. Environment: Agriculture modernisation and green and clean production encouragement, including funding. Environment monitoring. Forests and tree better management. Strict water resource management system. Internet: Use internet to drive the economic growth, while ensuring speed and low cost of use. Education: Empower higher education colleges and scientific research institutes. Better link education system to the business and enterprises “Encourage some universities and colleges to become more pragmatic and career-oriented”. 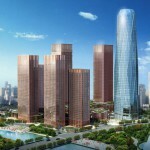 Rural Development: Make the rural areas more attractive to young professionals. Land reform. Insurance: Social insurance fees reduction. Pensions: Establish a system of reasonable basic pensions. Retirement: Gradually raise the retirement age. Health: Serious illnesses will be covered by medical insurance for urban and rural households. Medical system: Reform of public hospitals. Encourage the private sector to expand health care services. Family planning: End of the one-child policy (2 children per couple). Energy: Further develop urban public transport. Flood control infrastructure. Transport: Promote new-energy vehicles and manufacturing of electric bikes. Message from the State Council: “we would like to invite you to join the discussion on issues you care about the most in the 13th Five-Year Plan and China’s development. It is a great opportunity to participate in China’s policy-making and have your voice heard by Premier Li. Please do not hesitate to write to the Premier’s email address at: premier@mail.gov.cn, identify yourself and offer your insight. The open solicitation for opinions will end Jan 15, 2016″.